Howdy! 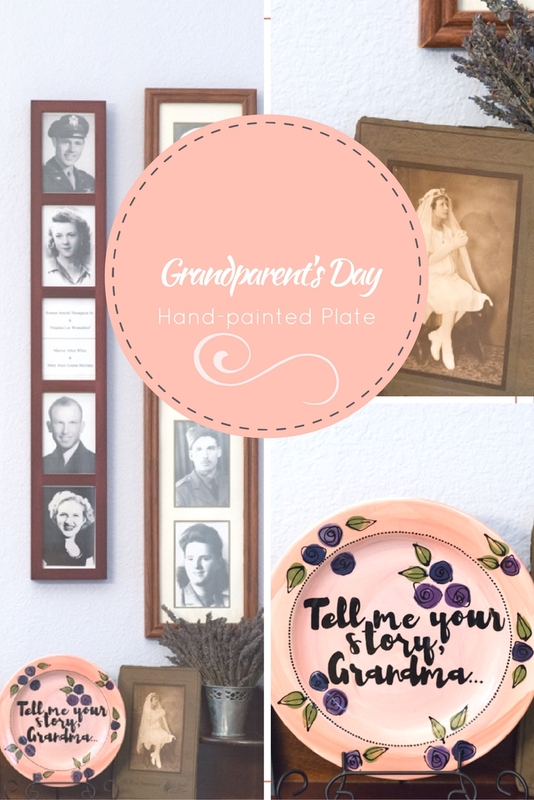 It’s Kate from www.songskatesang.com, with the sweetest grandparent’s day idea. Until recently, three of my four grandparents were living. I know how amazing that is to have been blessed to have them around until my 40’s. I know their stories. I know where they grew up, what foods they liked, where they met and married their spouse. I know how much they loved their children and how much they all loved music. I never, ever want to take that for granted. I hope that my children have the same experience. I want my children to really know my husband’s parents and my parents. In today’s world of distractions, it is easy to spend time together, then run off to our separate activities. I wanted to create something to invite people to linger around the table and just share. 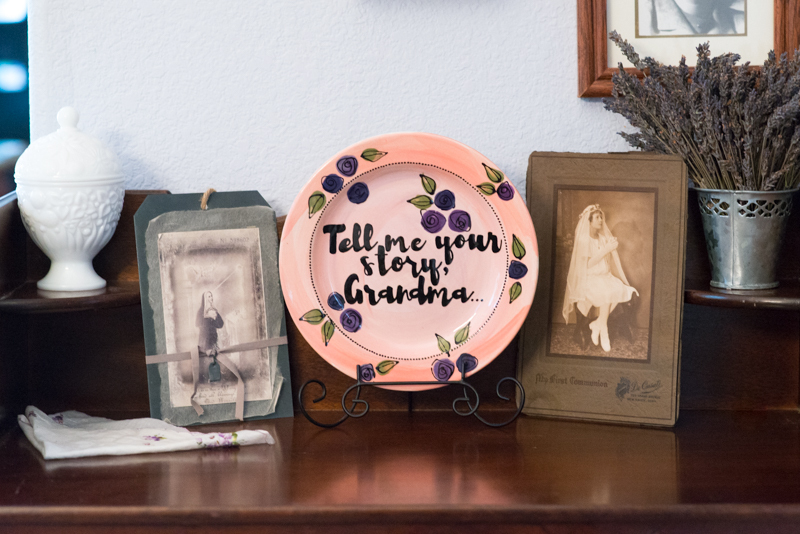 I wrote Liz, at As You Wish, an idea for a custom dessert plate. When I picked up the plate, I was amazed (as always) with how perfectly it came out! It is better than I could have ever dreamed. It’s exactly what I wanted without even knowing what to ask for. 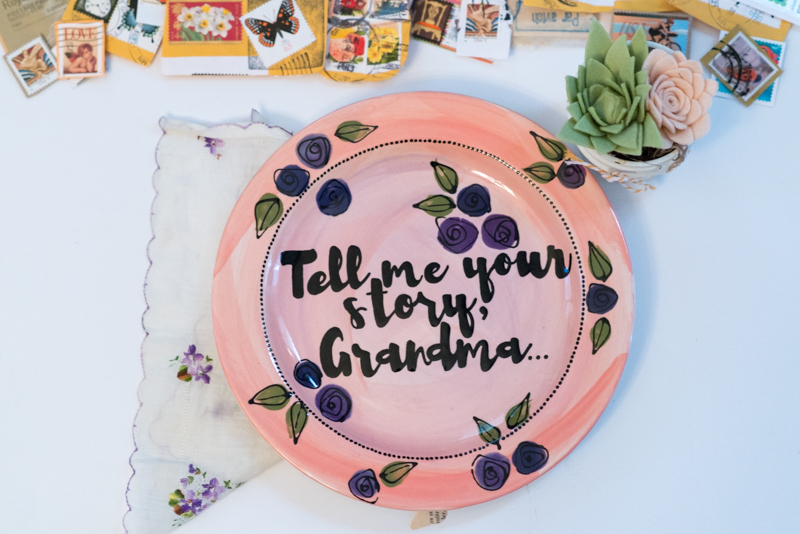 I can’t wait to serve dessert and give this plate to grandma! I know the kids will be excited as they know what words she will find as we finish. I have a few guesses about what story she will share. Maybe it will be how my dad blew up the chemistry lab in college and she was the journalist sent to cover it. Maybe it will be the story of when my brother was born and they told my parents that he wouldn’t survive, but now he is a wonderful thirty-something with his own business. Maybe it will be the story of listening to the ocean in Corpus Christi as she fell asleep each night. I want her memories to become theirs, as they learn about the legacy of love they come from. Happy Grandparent’s Day to all you wonderful grandparents out there! We are so grateful for you and your stories. Share them with us whenever you get the chance, okay? !